Your connection to the phone company consists of two copper wires. Usually they are red and green. The green wire is common, and the red wire supplies your phone with 6 to 12 volts DC at about 30 milliamps. If you think about a simple carbon granule microphone, all it is doing is modulating that current (letting more or less current through depending on how the sound waves compress and relax the granules), and the speaker at the other end “plays” that modulated signal. That’s all there is to it! The easiest way to wire up a private intercom like this is to go to a hardware or discount store and buy a 100-foot phone cord. Cut it, strip the wires and hook in the battery and resistor as shown. (Most cheap phone cords contain only two wires, but if the one you buy happens to have four, then use the center two.) When two people pick up the phones together, they can talk to each other just fine. This sort of arrangement will work at distances of up to several miles apart. The only thing your little intercom cannot do is ring the phone to tell the person at the other end to pick up. The “ring” signal is a 90-volt AC wave at 20 hertz (Hz). If you go back to the days of the manual switchboard, it is easy to understand how the larger phone system works. In the days of the manual switchboard, there was a pair of copper wires running from every house to a central office in the middle of town. The switchboard operator sat in front of a board with one jack for every pair of wires entering the office. Above each jack was a small light. A large battery supplied current through a resistor to each wire pair (in the same way you saw in the previous section). When someone picked up the handset on his or her telephone, the hook switch would complete the circuit and let current flow through wires between the house and the office. This would light the light bulb above that person’s jack on the switchboard. 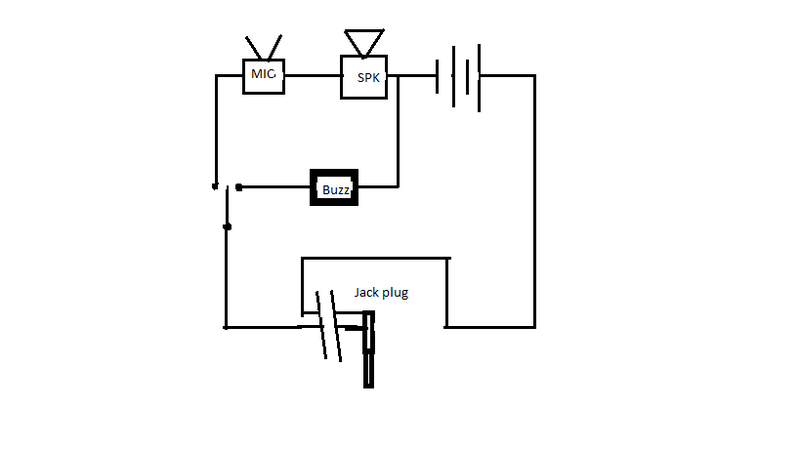 The operator would connect his/her headset into that jack and ask who the person would like to talk to. The operator would then send a ring signal to the receiving party and wait for the party to pick up the phone. Once the receiving party picked up, the operator would connect the two people together in exactly the same way the simple intercom is connected! It is that simple!